The San Diego County Water Authority announced late Tuesday that a tentative ruling in its lawsuit against the Metropolitan Water District found the MWD’s rates violate state law. The San Diego authority said the stakes in the long-running litigation amount to more than $2 billion for San Diego County residents over 45 years. Superior Court Judge Curtis Karnow in San Francisco ruled that rates the MWD adopted and imposed in 2011, 2012, 2013 and 2014 violate several state statutes as well as Proposition 26, which sets the conditions under which taxes and fees can be increased, according to the water authority. MWD general manager Jeffrey Kightlinger said “Metropolitan is confident that its structure of charging all agencies the same rates for the same services is both logical and legal. This is one initial step in a very long process. 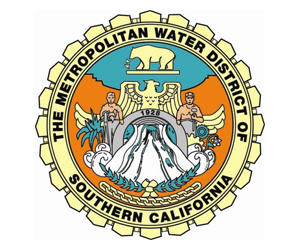 “Metropolitan has prevailed in previous challenges, including SDCWA’s last challenge to Metropolitan’s rates, in which an adverse lower court decision was reversed on appeal. The MWD is the main water wholesaler in Southern California. It sells water to the San Diego authority, which in turn distributes it to local water districts. The local water authority first sued MWD in June 2010, and then filed another lawsuit in June 2012 because the 2010 case had not been resolved and MWD had adopted rates for 2013 and 2014 based on the same formula. In both lawsuits, the San Diego authority asserted that the MWD illegally assigned unrelated water supply costs — including its costs of obtaining water from the state of California and its costs of subsidizing local water supply projects — to its water transportation rates. The San Diego authority has been working to diversify its water supply in recent years, some of which has to be sent through the MWD’s equipment. Water authority lawyers, during a five-day trial in December in San Francisco, alleged the MWD artificially inflated the transportation costs with unrelated expenses.